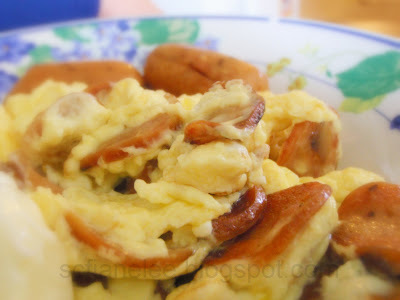 Fried sliced sausages to give a good serve for the special mixed aroma of those. Pour in beat egg in, trouble the egg once it is cook, do not have to wait till it turns brown, keep it bright yellow in colour. What it takes to have a day of cooking?